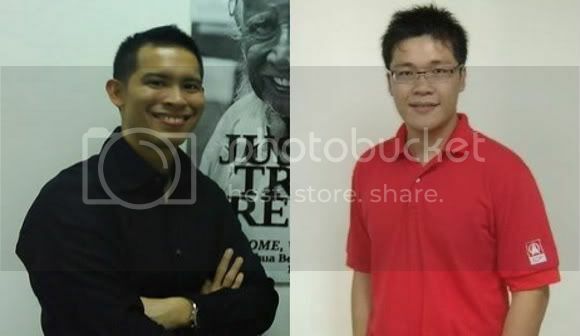 During the The Online Citizen’s Year In Review 2009, a member of the NUS Political Association (NUSPA) asked Young Democrat Jarrod Luo and Young Reformer Justin Ong respectively if the opposition has been engaging the students at NUS, specifically through NUSPA. Her contention was that the ruling PAP has been more pro-active than the opposition in terms of engagement. Luo’s and Ong’s reply was that they tried to engage NUSPA under the auspices of their respective parties, but without success, further noting that the PAP on the other hand was far better off in terms of gaining access to the university to engage students. Some of us may recall that in 2004, the University of Warwick had initially planned to set up a 10,000-student campus in Singapore. However, concerns about academic freedom, particularly with regards to the cost and freedom of speech for students led many students and faculty staff to oppose the plans. The plans to set up the campus were finally abandoned after the matter was taken up and discussed with the university senate. Perhaps, the question we should be asking ourselves is what is academic freedom and what does it really entail? According to WordNet®, a large lexical database of English language currently housed in the Department of Computer Science in Princeton University, academic freedom is defined as the freedom of teachers and students to express their ideas in school without religious or political or institutional restrictions. Thus, what does academic freedom entail? The first important step is that the proponent of a particular viewpoint SHOULD be given access to whatever medium to express his or her viewpoint. The second and subsequent step is that the listeners, which includes staffs, students and in certain cases, concerned members of the public, should be given access to hear the particular viewpoint. Hence, how can academic freedom be violated? A violation can occur at the first step, where a move can be instigated by a university, staff or student body to deny the representative of a particular viewpoint the right of access to the medium to express his views. Thus, this violation can be as simple as the university administration or student body cutting off the access of an opposition member or a representative of an alternative viewpoint to an academic forum that aims to discuss the topic of interest. Academic freedom can also be violated at the second step, in which members of the audience are restricted from listening to the particular viewpoint. Such restrictions can occur in subtle form, such as canceling the access to venues of participation in some extreme cases, or requiring participants to relocate to venues with lower seating capacity like ordering the participants to shift from a 1,000-seater conference hall to a 20-seater classroom, thereby limiting the scope of outreach. Revisiting the NUSPA issue, a scan through the events section of its website leads to a sentiment of disappointment on my part. Understandably, the Kent Ridge Ministerial Forum engages the mainstream viewpoints because the invited guests were PAP ministers during the recent years. However, the policy studies section was the most disappointing. The most recent event entitled “Moral and Ethical Dilemmas in Policymaking” was presented by Mr Teo Ser Luck, Chairman of the Young PAP. For the rest of the preceding years, the invited participants were from our ruling political establishment in the form of Mr Lim Swee Say (2001, 2005), Dr Vivian Balakrishnan, Dr Mohd Maliki Bin Osman (both in 2004), Dr Ng Eng Hen (2003) and Mr Raymond Lim (2002), in addition to other academics. One would believe the students and staff may have heard the mainstream views in such policy forums, but it is disappointing that no member of the opposition has been invited to present criticisms of current policies and alternative policies proposals that their parties have been advocating. There was only one event organized by the NUSPA that is connected to the opposition in the form of a special project entitled “Opposition Forum: Towards a More Democratic Singapore – The Future of opposition Parties” in which the invited guest was Miss Sylvia Lim of the Workers’ Party. One really wonders if this one opposition-related event is a mere token within the “mainstream” sea. It is not the purpose of this article to advocate a sudden shift in giving all the voice to the opposition and shutting out that of the ruling political establishment’s, but rather it is about promoting a balance and diversity of mainstream and alternative views. It is like, okay, today we have heard from the PAP ministers their vision of Singapore, so let’s hear from the opposition their alternative vision tomorrow. It is about hearing both sides. However, the saying goes that there is a silver lining behind every cloud. A student by the name of Hui Chit Xiang questioned lapses within our civil service which led to the loss of $9.8 million dollars in an article published on the NUSPA website, which the latter found to be unacceptable since the sum can be used to better the lives of many, and worse, the signals were sent out to the public suggesting that some of our government agencies do not act prudently when they were expected to. It is heartening to note that the NUSPA is willing to publish such alternative views on its website. However, more can be done. In the name of academic freedom, students shouldn’t be restricted in their quest in the search for truth and understanding, and that includes engaging representatives harboring alternative viewpoints. A good suggestion will be to have an alternative equivalent of the Kent Ridge Ministerial Forum, whereby members of the opposition and intellectuals harboring alternative viewpoints are invited to a forum to present their alternative vision for Singapore, and unlike the recent Ministerial Forum, it should conducted in an open-floor format to encourage students to express their views and put forth queries. All done in the name of academic freedom, yeah?